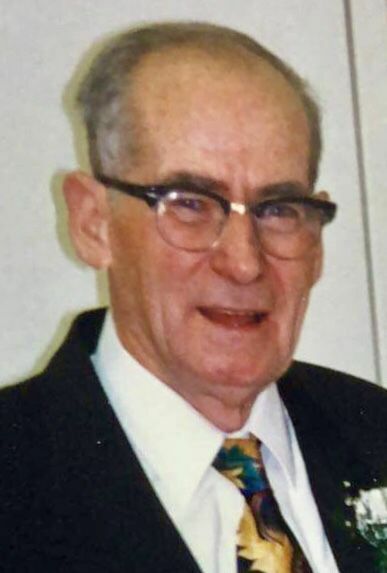 LaVern Angus Inzer, age 94, known by most as Reverend or Preacher, passed away in Mesquite, Texas, Dec. 27, 2018. Preacher Inzer was born Dec. 15, 1924 in Sayre, Arkansas, to Joseph Grady Inzer and Ora Josephine Carter. He was the youngest of seven children and the last living of the family. Reverend Inzer dedicated his life to the ministry when he was 17 years old. While training for the U.S. Navy in Crows Landing, California, he met his future bride, Miss Elva Lorraine Hand at church in Modesto, California. World War II took him to the South Pacific, where he survived the sinking of two aircraft carriers. When the war was over, he was discharged from the Navy in Algiers, Louisiana, and immediately sent for his bride-to -be. They were married in Louisiana in 1946 and then moved to Clinton, Mississippi, where he began his college education at Mississippi College. While in college, LaVern and Elva began their family with the births of sons Stanton Vernon Inzer and Kenneth LaVern Inzer. After obtaining his degree, the family moved to Oakland, California, and LaVern began his ministry training at Golden Gate Seminary at Strawberry Point, California. It was here that he found his love for missionary work. LaVern and Elva’s first church was Ora Loma, California ministering to the migrant workers, farmers and ranchers in the area. It was here that Elva received her own nickname of “Miss Elva.” They then moved to Turlock, California, where they began ministering in a city environment. While in Turlock, the rest of the family was born: Robert Wayne Inzer and Rebecca Lorraine Inzer. In 1959, the family moved to Winnemucca, Nevada, where LaVern became a circuit riding preacher much like days of old. As he began planting churches all over Northern Nevada, he became known far and wide. He was known as a man who stood for what he believed and was known to challenge what was wrong. In 1970, he and Miss Elva moved to Carlin, Nevada, to build the church there. They would remain in Carlin for the next 30 years ministering where needed. In 1998, he was recognized as the Nevada State Citizen of the Year for his service to those in need. Reverend and Mrs. Inzer retired to Sunnyvale, Texas, in 2007 until their deaths. Reverend Inzer is survived by his son, Stanton Vernon Inzer of Liberty Lake, Washington, his daughter-in-law, Mrs. Kenneth LaVern Inzer (Minnie Edmundson Inzer Muniz) of Meridian, Idaho, his son, Dr. Robert Wayne Inzer of Sunnyvale, Texas, and his daughter, Mrs. Rebecca Lorraine Cramer, also of Sunnyvale, Texas. There are six grandchildren and 17 great-grandchildren. Preacher Inzer was preceded in death by his son Kenneth LaVern Inzer in 1992 and his wife of 58 years, Miss Elva in 2010. A memorial service will be held at Calvary Baptist Church, 577 Walnut St., Elko, Nevada, on Friday Jan. 11 at 1 p.m. Internment will follow at Carlin Cemetery in Carlin, Nevada.